How Can I Support Reunification? Reunification is when children placed in foster care are able to move back with their parents or previous caregivers. This usually occurs after completing the case plan and the court determines it is safe for the children to return home. The initial goal for most foster care placements is reunification, but as foster parents it can be difficult to navigate and know how to support that goal. Supporting reunification is not always easy for various reasons. It can be difficult to see a child leave after they have been in your care for a long time and a strong bond has been built. Some children might express a desire not leave or even a fear of going home. You might also worry if the child will really be safe when they leave. If you have concerns, discuss them with the case worker so any potential issues can be resolved. Then you can continue to support the reunification plan. One thing you can do to help support reunification is to always keep in mind that reunification is the goal. Even if members of the team are discussing permanency, permanent custody, termination of parental rights, or adoption, still remember that reunification is a possible outcome. Being aware of this goal at all times can help prepare you for it, if and when it actually happens. Another important thing you can do to help support reunification is to be friendly when you meet the child’s family. You may have already heard negative things about them and what happened to the child, or perhaps you have preconceived ideas of biological parents in general, but try to keep an open mind and not judge. You would not want biological parents judging you either based on what they have heard or believe about foster parents. If your foster child has visits with their families, you can have more opportunity to interact with them and build rapport. Some ways to “break the ice” between you can be simply asking them about their child. Ask them if their child has any favorite foods, or favorite activities for example. Also let the parents know how their child is doing each week, such as any new things they have achieved developmentally or in school. Provide the parents with photographs of the child and help the child draw pictures or other crafts/letters for their parents. Even if you do not have face to face interactions with the biological parents, you can still send these items with the child to the visits and communicate through a notebook in the diaper bag or backpack. These small gestures can go a long way in building relationships. Hopefully the parents will see that you genuinely care about their child and can take comfort knowing their child is safe while they are working on their case plan. In addition, sharing this information and pictures with the parents can help them bond with their children which will be necessary once reunification occurs. Once you’ve successfully started building a relationship with the child’s biological family, it can be easier to communicate about the child’s specific needs. If reunification is going to be successful, the parents need to know how to adequately meet the needs of their child. These needs may include medical needs, how to properly administer medication, attending multiple appointments, following dietary restrictions, helping them meet developmental milestones, and general parenting, etc. If you have been establishing somewhat of a relationship, you have a better chance of the biological parents listening to your advice or even asking you questions. 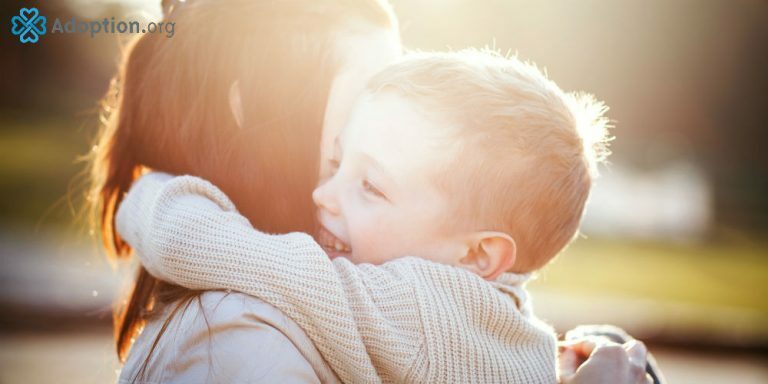 Even if you are unable to build a relationship with the child’s parents, you can still support reunification by how you interact with the child. It is important to never speak negatively about the child’s biological family. Let the child know that it is okay to love their parents and miss them. Help the child sort through their feelings and build a relationship with their parents again. You can continue to be supportive even after reunification by offering to stay in contact with the biological parents and the child which could be beneficial to everyone. The biological parents could then have a support person to call if they have questions or need help. Ideally with this additional support, the child would not end up back in the system again and would remain in a stable and safe environment.